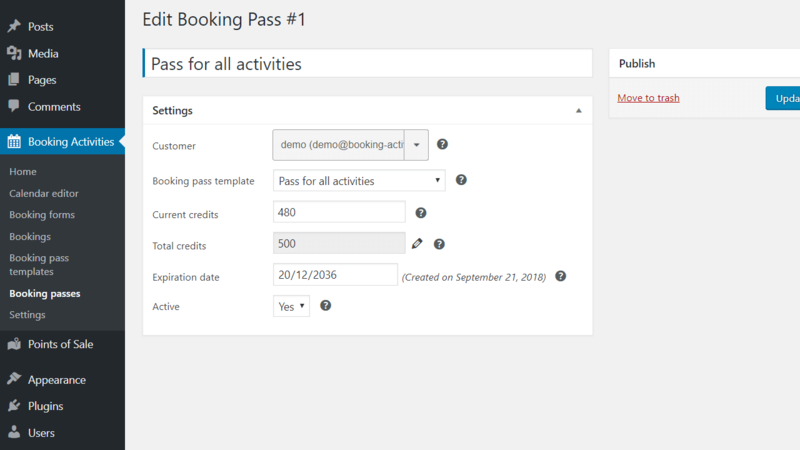 Prices and Credits is a Booking Activities plugin allowing you to set specific prices or discounts on each event. These prices can be in cash or in credits. 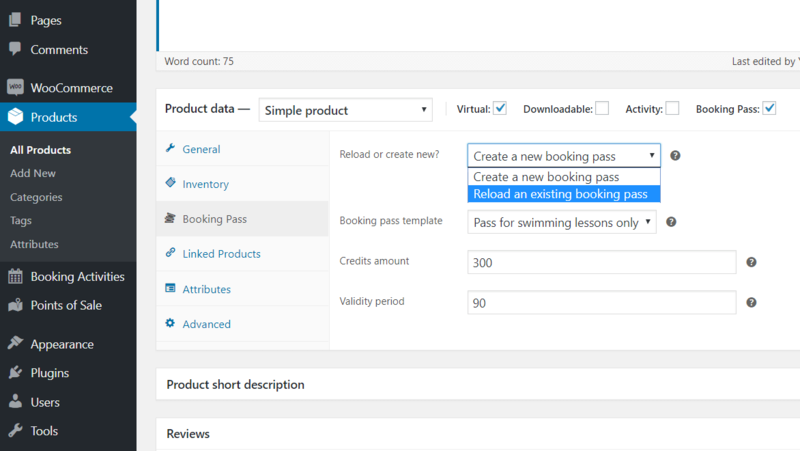 You will then be able to sell booking passes with a certain amount of credits and use them to make a reservation. Unlike traditional e-commerces, you sell activities. 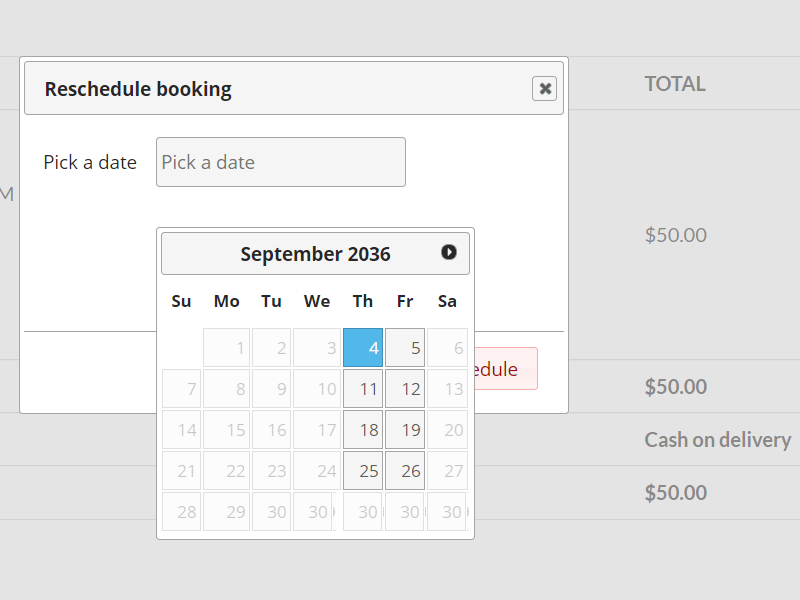 The date and time of your activities are both very important criteria for your clients. 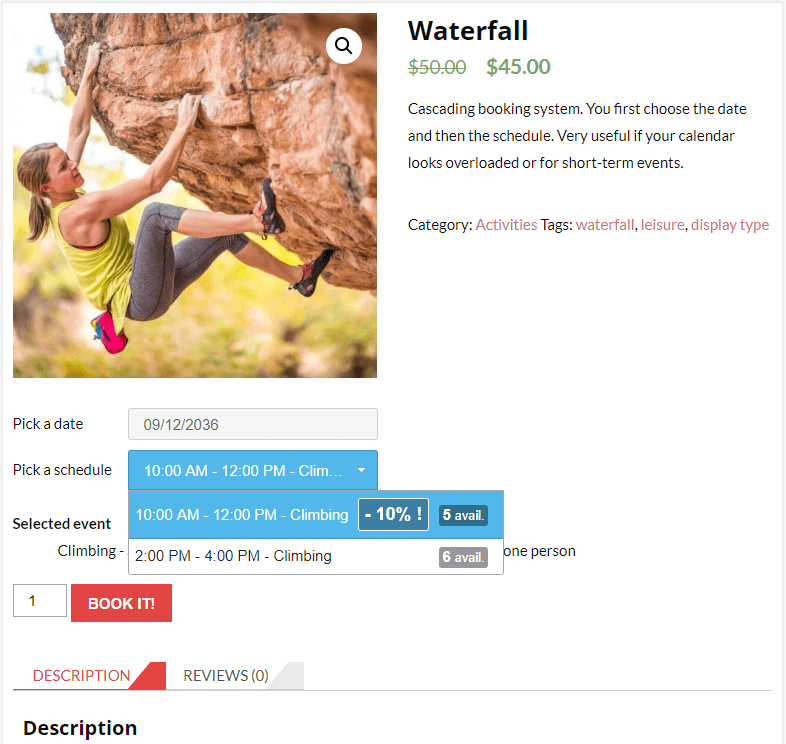 The same activity can sell a lot on certain time slots and few on others. But there is a third decisive factor: the price. 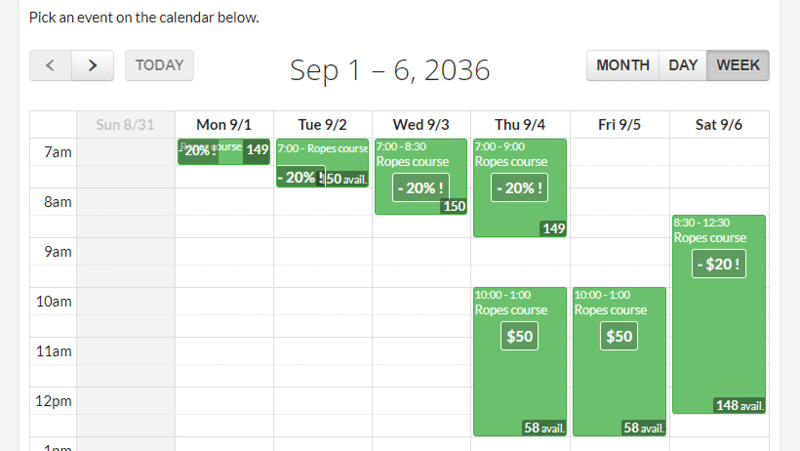 With the Price and Credits add-on you can highlight your off-peak events displaying “-10%”, “-$10!”, or “$15!” directly over them. 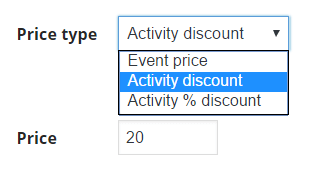 Discounts are used everyday in a e-commerce. 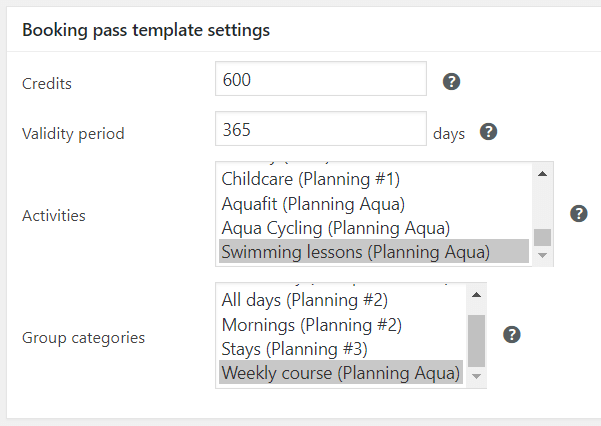 As an activity provider, you would rather target your bargains by event or by periods rather than applying them to the entire activity. You will be able to choose between applying a special price, a currency discount or a percentage discount to your events. 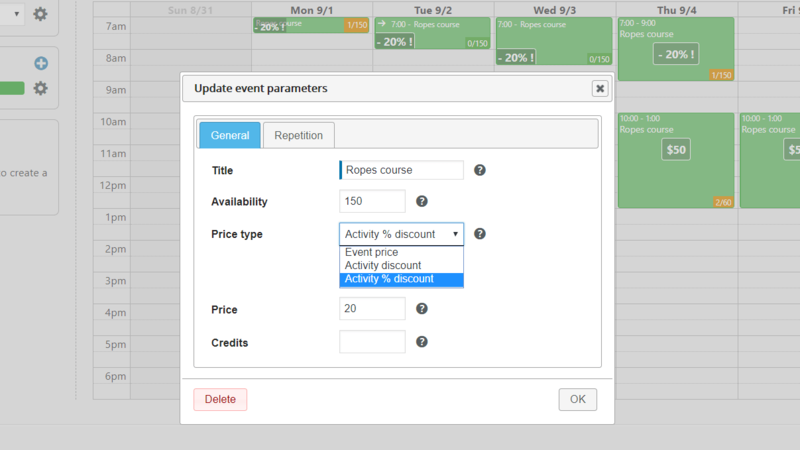 Similarly, it is possible to put a price in credits on the events of your choice. 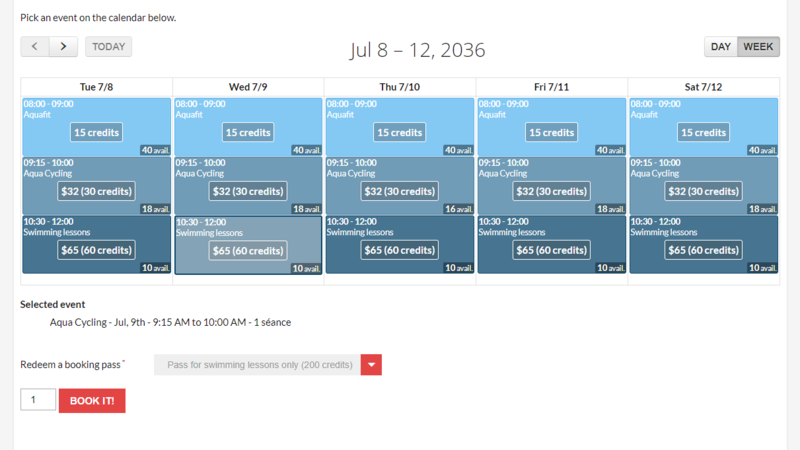 Your customers will then be able to spend credits rather than real money to book these events. 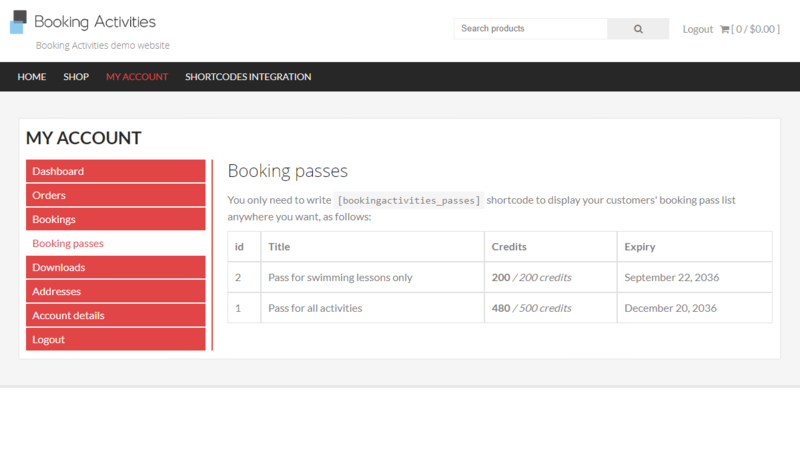 Indeed, you can create booking passes containing a certain amount of credits and sell them to your customers. 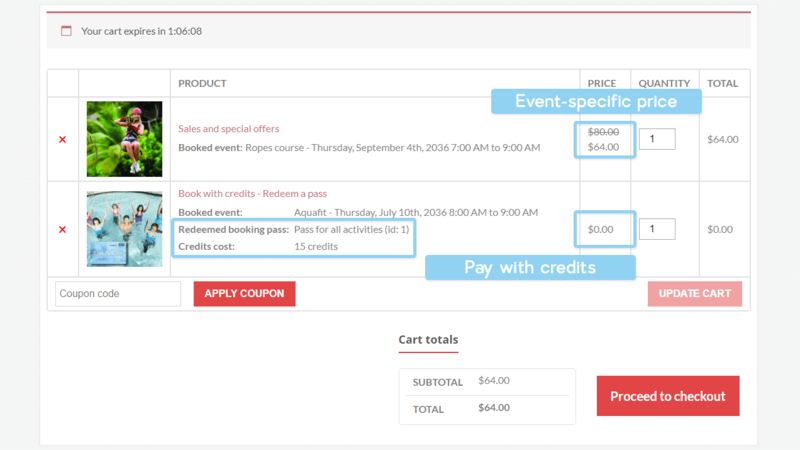 With WooCommerce, you can easily sell these passes on your online store along your other products. It is even possible to sell credit refills to customers who already have an eligible pass. You can create all kinds of passes, each with its own characteristics. 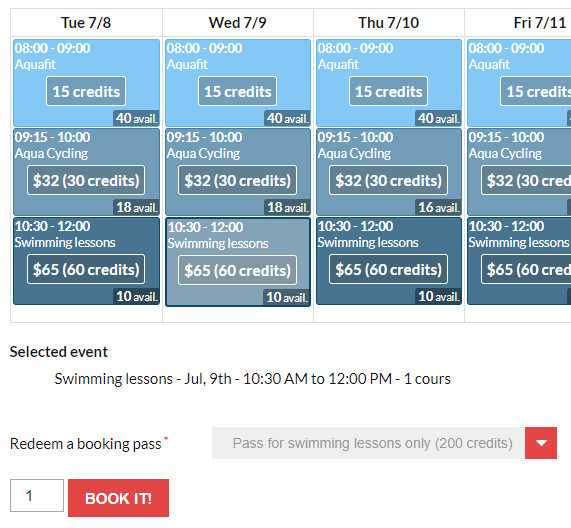 A pass may be restricted to certain activities, certain calendars, certain groups of events, and certain booking forms. They also have a validity period and expire. So you can perfectly sell two 100-credit passes at a different price depending on their characteristics. 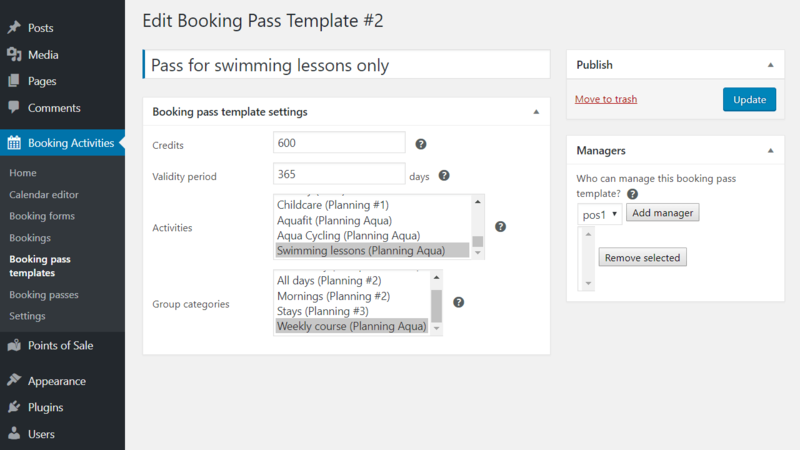 It is also possible, for example, to use booking passes to give access to 10 events of your choice from a selection of activities. 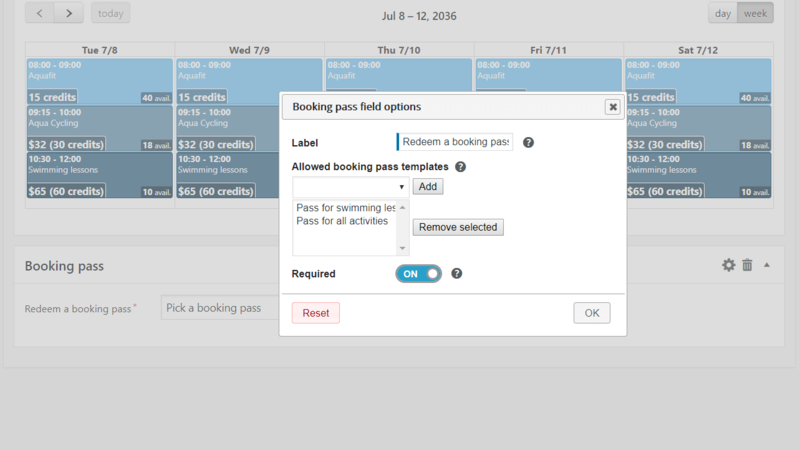 Finally, you can make booking passes mandatory, or on the contrary forbid them on the booking forms of your choice. 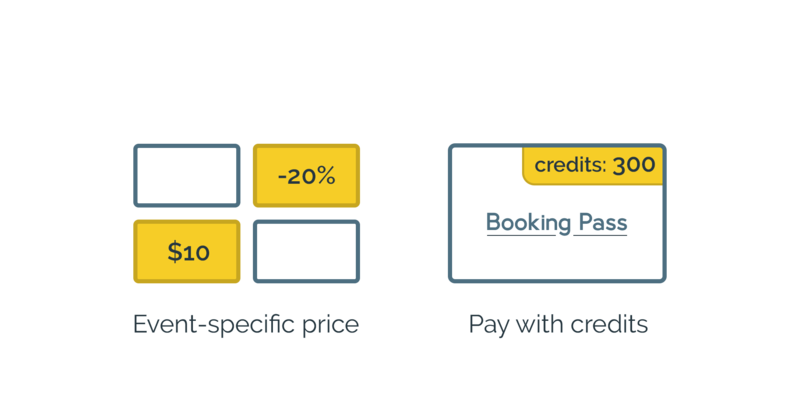 Prices and Credits works only if Booking Activities is installed and activated. 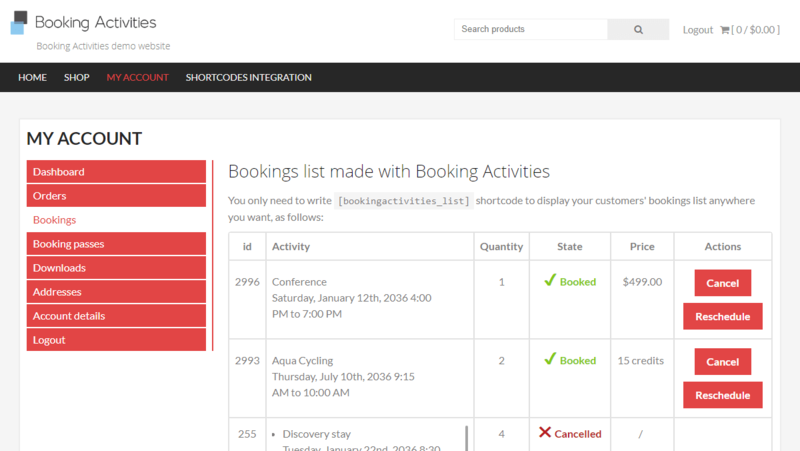 You can use it with WooCommerce, the functionalities related to WooCommerce will be activated automatically. Tweak - \"Prices and Promotions\" becomes \"Prices and Credits\"
Prices and Promotions at your service!